Often the internet is a good start to find applicable forms and instructions, but good old-fashioned manual research and review may still be required. Research is always complex and time-consuming process. Not only must one double check facts and figures from a number of different sources, but it’s imperative for you to also ensure that your sources are credible and that you do not support misinformation or flimsy entities through your research. This is particularly true when undertaking your legal research online. The creation and widespread use of the internet has made research far easier and more efficient than it was in the past with all sorts of information available at the click of a button, most people forget the fact that this convenience also comes with a price to pay. While the internet has contributed immensely to the availability and accessibility of information, it goes without saying that there’s a lot that needs to be taken into consideration when it comes to conducting research on the internet. Not only does credibility remain a major issue when conducting research on the internet, but the intrinsic sensitive nature of legal research worsens the problem tenfold. Moreover, with novices claiming to be professionals and uploading researches and creating legal blogs full of misinformation, conducting legal research over the internet can be quite a hassle for a variety of reasons. With that said, however, disregarding the importance and value of a source of information as vast and grand as the internet simply because of fraudsters and credibility issues is the wrong approach and should be avoided. Instead, it is imperative for researchers to exercise due diligence when conducting research over the internet to ensure that they can benefit from the platform without worrying about being duped. Additionally, since most people are worried about legal research costing an arm and a leg, it’s still possible for people to conduct research on legal matters using the internet, often free of charge. This article should get you started with your research, providing tips and tricks that you can use to conduct legal research over the internet and save time and effort. A well-organized online library is usually a great start. 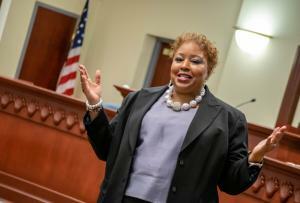 For example, Georgetown University has an information website about Family Law at https://www.law.georgetown.edu/your-life-career/career-exploration-professional-development/for-jd-students/explore-legal-careers/practice-areas/family-law/. 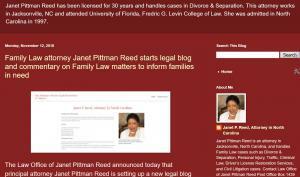 At that website you find further references, such as Family Law Research Guide, http://guides.ll.georgetown.edu/familylaw. Similarly, Cornell University has the Legal Information Institute online which offers a broad range of resources for family law at https://www.law.cornell.edu/wex/category/family_law. For some issues, the internet is a good starting point, but additional work may be required. 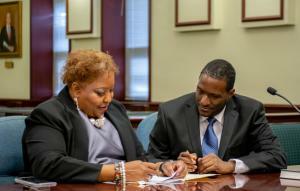 For example, for the expunction (expungement) of criminal records in North Carolina, the basic forms and instructions are available online, but the petition must nevertheless be assembled in hardcopy and additional research for specific cases may be necessary. While lawyers are generally looking for primary law that includes court statuses, opinions, and regulations, it is generally easier to resort to secondary law as a starting point. This is primarily because secondary law is not only easier and far more convenient to understand, but free journal articles that essentially classify as secondary law are full of analysis and explanations to legal matters that can be difficult to understand when viewed or researched in isolation. What’s more, certain online sources and platforms are also integrated with Google-powered search engines for you to enter appropriate keywords and browse through countless articles from numerous online journals and law reviews. Fortunately for legal researchers, countless developers interested in making legal research more convenient and hassle free have launched applications that contain credible information making research extremely easy – that too without the risk involved. Since all information on these platforms and applications goes through intensive checks beforehand, one can easily benefit from the contents of the research without worrying about authenticity. One thing, however, that must be taken into account is that since you have to be extremely specific about the name of the application before buying it, it is imperative for you to conduct research regarding the best applications out there. Luckily for many, since that is a common problem that researchers had to go through, certain individuals and entities have also increased the convenience of researchers in this regard and have created comprehensive lists of all of the relevant applications and resources that one can benefit from. The UCLA’s Law Library, for instance, is a comprehensive and alphabetically ordered list of law apps that users can benefit from when they are interested in conducting research without spending a fortune. Can I believe what I saw? As mentioned above, one of the most common problems when conducting legal research online is the authenticity factor. Since the credibility of information is questionable, there are also multiple techniques through which you can retrieve background information regarding legal professionals to ensure that you don’t take home from misleading reports or articles. If you need background information regarding any professionals in the legal world from lawyers to judges, your best bet is to resort to the LexisNexis Martindale-Hubbell Law Directory which is essentially the most traditional and trusted source for all information of this type. Additionally, you could also opt for the FindLaw Lawyer Directory and the Justia Lawyer Directory. If you’re looking for something a little less conventional, you could also opt for the directories by Nolo and Avvo, the latter of which includes a lawyer rating system based on “a mathematical model that considers elements such as years of experience, board certification, education, disciplinary history, professional achievement, and industry recognition.” For increased credibility, the directory also allows users to put in reviews of lawyers that they have worked with to ensure that others looking for lawyers can understand exactly what they can expect and the type of cases that the lawyer has already dealt with. For the convenience of researchers, these portals and platforms also contain a lot of additional information that you should be able to benefit from for a variety of reasons. 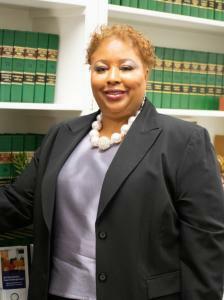 Most family and criminal issues such as expunction and driver’s license restoration involve State law. While federal records are often conveniently assembled such as in the federal PACER system (see below), not all State court records can be easily searched online. Since you might need access to dockets and could want to review case documents to extract relevant information, portals and platforms have been created to help you find exactly what you’re looking for. In addition to the Public Access to Court Electronic Records (PACER), you could also resort to RECAP, a docket site which allows you to view millions of federal dockets for bankruptcy, criminal, and civil courts of the United States.